Almost all find it difficult to transition from professional career to Trading Career. One good thing about trading anyone can succeed provided you focus on right skill set with intent.Only then learning curve becomes shorter. Personally I think you just need 3 skills to succeed in this career. Technical Skills : You need to be confident in what you are doing that is technical skill. Because of this you will read the market and Take Action. Rest 2 Skills are related to Action and Reaction Part. Focus Skills: Quality of Action depends on Quality of Focus.This is one of the profession where you are punished mercilessly every time you make mistake. Most of the mistakes happen because you are not focused. Mistake happen when you are either lazy or Tensed. Focus is somewhere in between of these 2. Learn to identify that sweet spot in between. In short you give in to impulsive behavior if you are not in a state of relaxed focus. Gratitude skills: This is learning to be centered for the reaction that happens after your action. To come to the point what happens when you take the trade. Looser -- Gratitude required to stay centered. Suppose you are watching market without gratitude you take trade it turnout to be looser what will be your reaction? You get angry/sad/ Negative reaction not good in this profession. you are in coffee shop someone asks for 100 rupees will you give ????? Imagine you had near death experience of falling from a cliff and got saved at last movement . you come thankful for your life being spared and relax in a coffee shop now someone asks for 100 Rs. I bet you will give away 200 Rs and still be happy with it. 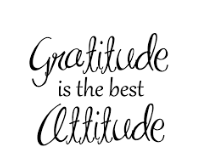 Gratitude is the same kind of feeling you need to carry before taking each trade. It should be part of trade plan. Before taking trade develop a great sense of gratitude and take the trade. This will build you with enough emotional capital to take hits from market and be ok with it. Few people watch the market with gratitude entire day. Like they keep thanking market for moving because each movement gives them opportunity to have purest form of financial independence (Trading). Without movement there will not be any Trading job. Other Way would be to think with every loosing trade you are closer to a profitable trade and you have seen off loosing trade successfully. One more way would be to make a list of things you are grateful for . Call it a Gratitude list for which you are thankful. Gratitude (Avoids mistake post Action). I am thinking BW formed only in DP or range extreams. 2) If market in strong down trend at the end of previous day, if today it defended strongly PDL and moving up, in this case are you change bias to positive? or you stay your negative view? We initiate Trade only from a DP. We are not concerned if BW is formed away from it. 1> Yes it is BW but why are you bothered about it. We trade from a DP, no DP there to initiate trade just ignore ? 2> Very hard to say that usually If the price is with in yesterday range we Treat it as range to start with. if the PA shows the signs of BO then we look to change Bias to positive. Trend, range, DP, space, OF. Yes its away from DP, but in friday at the fag end, BOF of BRN/RH but we skipped that trade as it trade into BW. WHY? Counter Trend + BW (not easy to cross) Do you think the quality of Trade is good. Don't Trade against Trend. You really need a very good feel of market to take reversal trade. Learn to let go Bad quality trade. Also Please take a look at the discussion that happened in Aug 12 thread to which you question is related. All posts are very nice Shashank, really you are USP for dp traders.